Pollinosan hayfever tablets are made to an original A.Vogel formula. It contains 7 tropical herbs in varying homeopathic potencies. 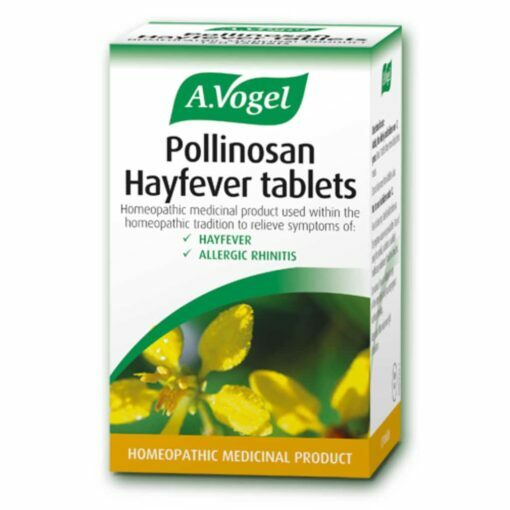 Pollinosan tablets are non-drowsy so will not affect your ability to drive or use machinery. It can be used to help treat allergies to grass or tree pollen (hayfever), as well as allergies to dust, animals and pets (allergic rhinitis) – both conditions give rise to symptoms such as itching and watery eyes, sneezing, tickly nose or throat and a blocked nose. Pollinosan tablets can be used together with Pollinosan Luffa Nasal Spray.